Religious Christmas Cookies and Treats! 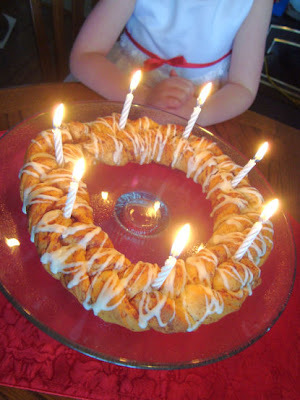 Check out these easy edible Advent wreaths here. When celebrating St. Lucia’s feast day, you might want to bake some traditional saffron buns! Find the complete recipe and picture tutorial here. 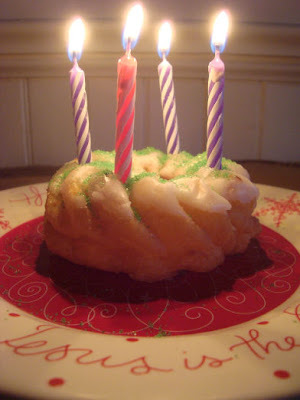 OR, celebrate St. Lucy’s feast day the easy way… with cinnamon rolls from the can just pretending to be fancy. 😉 Find the directions for easy St. Lucia bread here. If you are going to go through the trouble to make sugar cookies with kids, may as well invest in a set of nativity cookie cutters and bring the focus back to Jesus with your cookies, too! 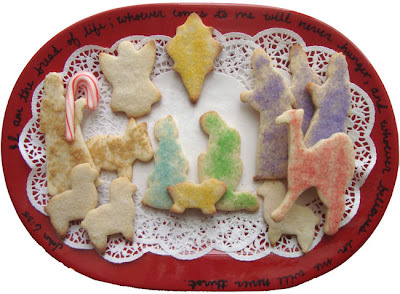 See how you can very easily decorate nativity cookies here. These little guys are easy for kids to assemble, and don’t require any baking at all. Check out how to make these Baby Jesus cookies here.